"Am I a God who is only close at hand?" says the LORD. "No, I am far away at the same time. Can anyone hide from me in a secret place? 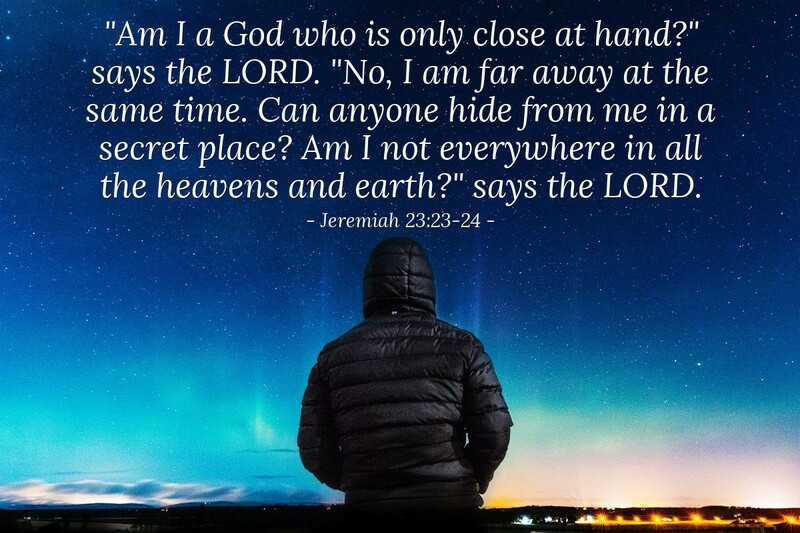 Am I not everywhere in all the heavens and earth?" says the LORD.